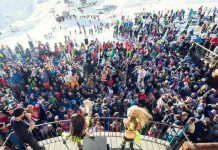 Looking for the best Les Arcs mountain restaurants? We know that eating plays a big part in your ski holiday and our Les Arcs mountain restaurants will keep you hungry at bay. 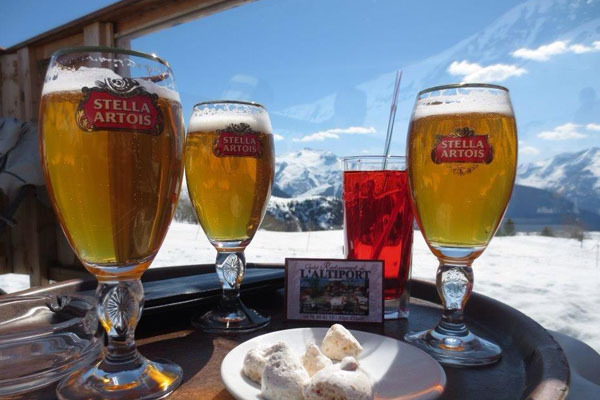 After a long morning or day of skiing, there is nothing better than sitting down to a well-earned meal, whether that be a traditional French dish or simply a satisfying pizza. 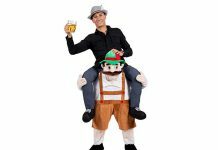 You may not have the time or the energy to get back to your accommodation, so eating on the mountain is the next best option. This former bear-hunting lodge may be a little higgledy-piggledy but it’s doing alright for 500 years old! Though it may be a little dark it is certainly cosy – the huge fireplace makes it a place you could easily spend an afternoon – and the food is delicious too! The restaurant is located at the bottom of the Cascades blue. It is definitely worth booking ahead and building into your skiing itinerary. 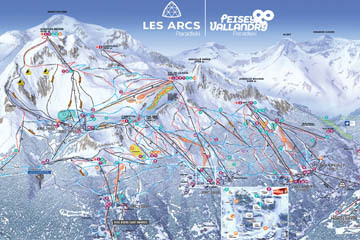 This restaurant is located very close to Arc 2000, only a few minutes away from the Arcabulle chair lift. It also lays claim to being the highest bakery in the Alps! 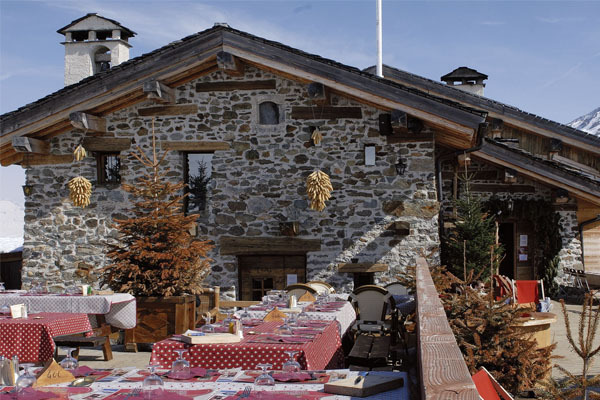 The building is a beautiful traditional chalet, made of stone and wood with a large sun terrace. Les Chalets de L’Arc is known for its ambience and setting and offers traditional French cuisine and Savoyard specialities, in addition to original dishes based on the restaurant’s homemade bread. The sun terrace has beautiful panoramic views whilst the fireplaces in the restaurant itself make it a warm and welcoming place to enjoy a leisurely lunch. 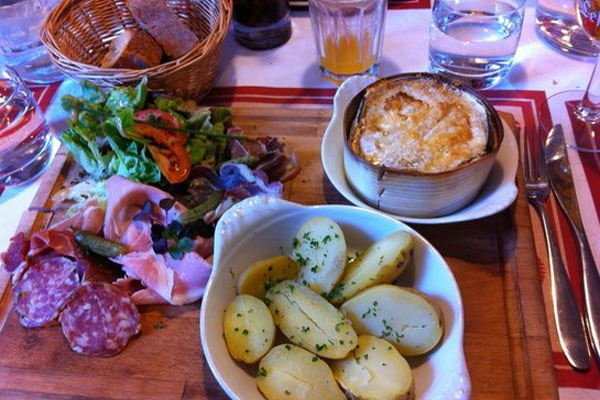 At the heart of the restaurant is a wood burning oven which produces many of the traditional Savoyard dishes. This is a simple self-service and assisted service restaurant. 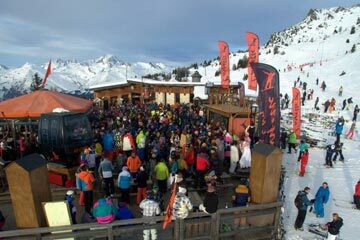 At times it can get quite busy as it is a popular and convenient mountain stop off point. 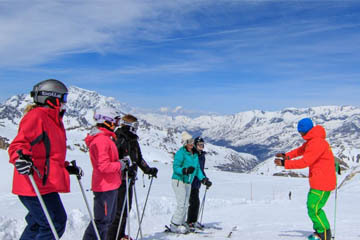 It is situated at the foot of the snowpark between the Clair Blanc slope and Froide Fontaine. 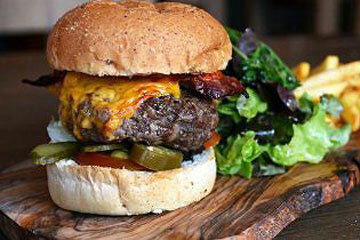 On the menu, you can find hamburgers, sandwiches, chips, steaks and salads. 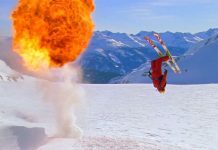 A great place if you want to sit back with a drink and watch the daredevils attack the snowpark. 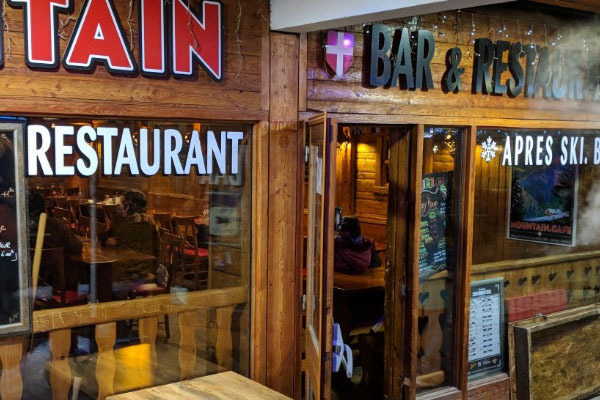 Relatively new to the Les Arcs restaurant scene, this welcoming chalet-style restaurant is well worth a visit and is easily accessible via the Cascade slope. For skiers in a hurry, there is a quick self-service at lunchtimes. 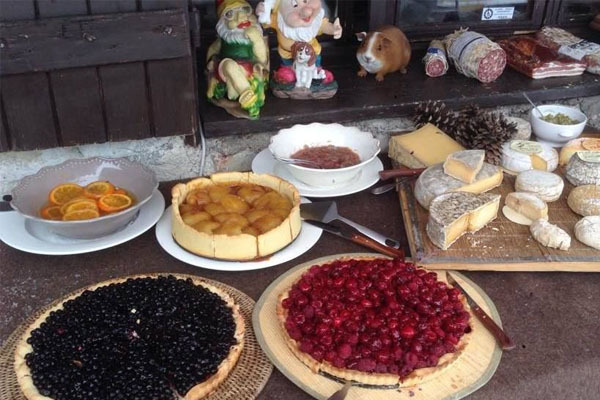 If you are looking for a longer lunch then there is a great choice of well-prepared Savoyard specialities, grilled meats, homemade pizzas, pasta dishes and salads. There is a huge frontal terrace and on colder days, the restaurant has a large central firepit to warm up around. This is a relaxed cafe and restaurant in Arc 1800 serving tasty tex-mex food, including fajitas, tacos, tapas as well as their famous over-sized burgers. The decor is traditional with lots of exposed wood, in addition to some funky modern touches. 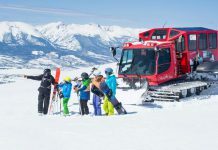 This restaurant is certainly a lot more than just a cafe and in the evening become the place for an après ski drink for both holidaymakers and locals alike. The Mountain Cafe is a very popular place to eat so it is worth booking a table to avoid a wait. Situated at the bottom of the Villaroger lift, a short walk at the bottom of the piste is necessary to reach La Ferme, but it is well worth it. The restaurant serves excellent mountain food – one of the favourite dishes on the menu is the rabbit casserole. La Ferme’s decor gives it a rustic charm and along with its buzzing atmosphere makes it a great place to stop for lunch. 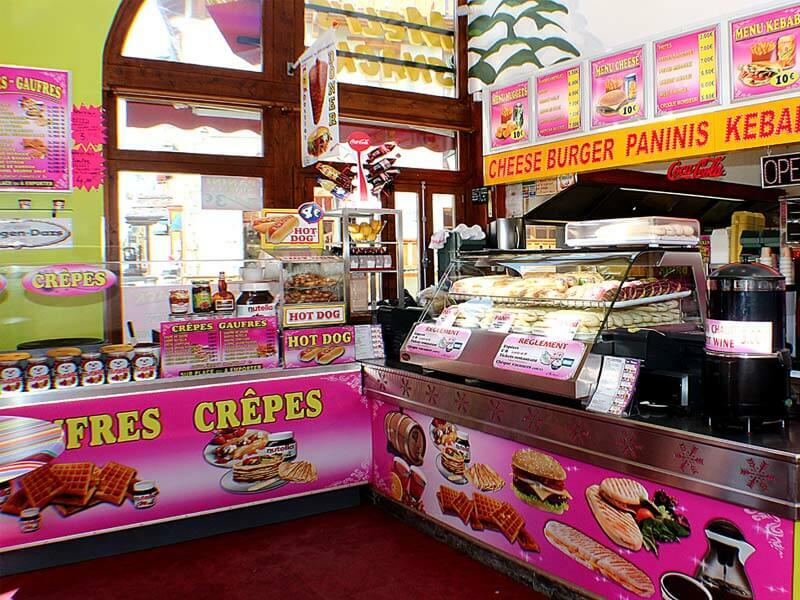 They also have a brilliant self-service, with a variety of tasty dishes. 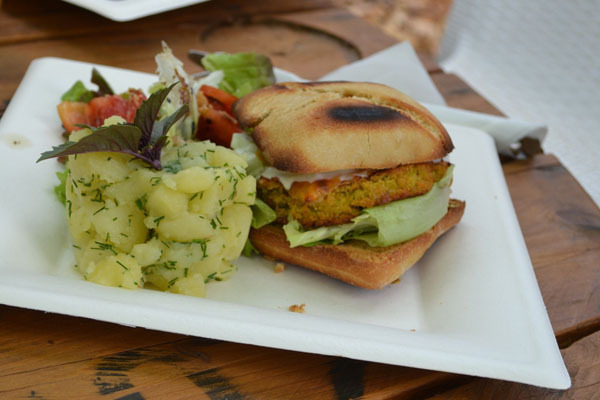 We hope you found The Best Les Arcs Mountain Restaurants post helpful.